LX-500 series were first microcomputers from Logabax, a French computers manufacturer specialized in small and medium size computers aimed at private and state-owned companies. It was a stange looking small metal box containing a single multifunction Z80 based card and two 90 KB 5.25" floppy drives. A serial port allowed the Logabax video terminal to be connected. 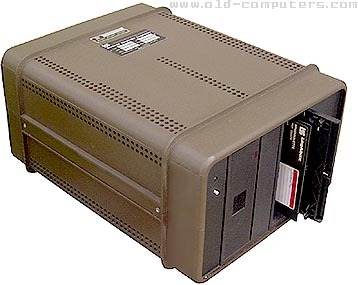 A few months later, several versions appeared (LX-525, LX-528) featuring a cheap plastic case, but 710 KB floppy drives and two extra Serial ports. The system ran Logabax DOS and a flavour of CP/M Operating System. In fact, due to its very expensive price for the time (about 4000 Euros) the LX-500 never met success near private companies despite Logabax efforts in setting up an European dealers network. However, at this time French ministry of education sought french computers to equip thousands of high schools. Only two French manufacturers were able to provide such small systems: R2E (with its 80-20 series) and Logabax. Thus Logabax got more than half the ministry contract and several thousands systems were installed in classrooms, even though the system was far to meet reliability and ease of use requested in educational environment. The LX-500 was one of the first machines with which French students could learn LSE language (Symbolic Language for Education), a structured evolution of the BASIC language, with French keywords, intended to be the universal language for students and academics. However, student liked PASCAL and Microsoft BASIC better than LSE, and the language quickly sank into oblivion. Despite Logabax had priviligied access to procurement contracts with French state, the company met serious cash shortage problems. After several vain attempts from French government to refloat the company, Logabax was eventually sold to Olivetti, the first Italian computers company. After some common ventures (Olivetti-Logabax Persona PC systems), Logabax finally disappeared for good. LX500 series were designed by two young engeneers, Michel(?) Caroff and Jean-Fran�ois(?) Huet. Caroff spent one year in US where he discovered what was in progress aroud Z80 based machines and CP/M Operating System. He came back enthousiastic and unofficially,("black"-work) started to develop what will become the LX 500 series. The project was presented to his management Jean-Pierre Talvard, General Manager and Chief Engineer when a prototype was at a running step. Jean-Pierre Talvard who was also a novator man, immediately understood the interest of such a development and forgot that was an underground black work. Caroff and Huet were respectively software and hardware designer... Great times, these times when only two people could develop a workable computer. I was myself at that time engeneer at LogAbax moving to business and executive activities in Germany. SIZE / WEIGHT 26 (W) x 17 (H) x 34.5 (D) cm. / About 8 kg. see more Logabax LX-500 series Ebay auctions !